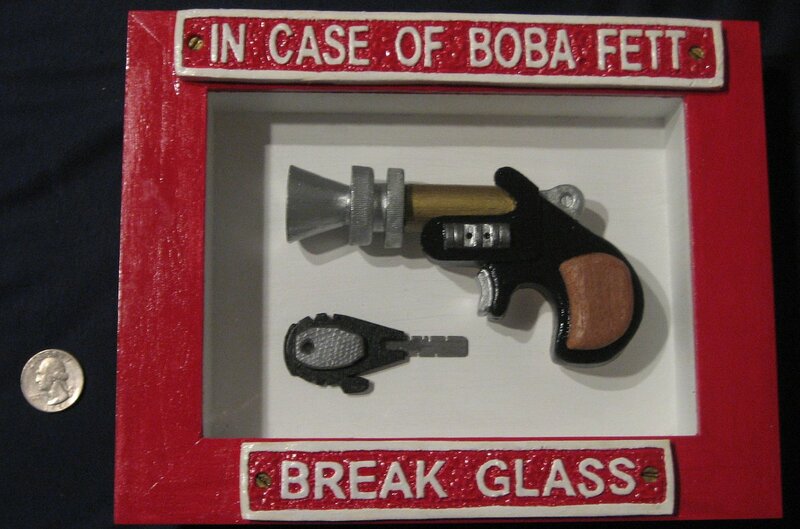 Another new Millennium Falcon related piece on Etsy is this rather amusing “In Case of Boba Fett” break glass by DVLovelace. 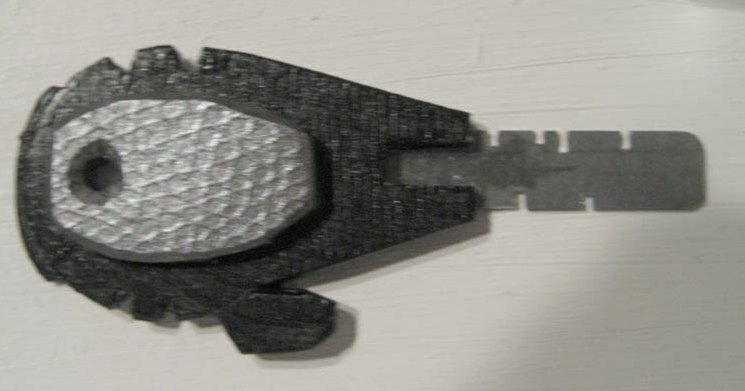 There’s a spare key for the Millennium Falcon which you’d definately need in the blind panic that comes with being hunted down by the galaxy’s most feared bounty hunter. It’s sculpted from Plaster with wood and metal highlights and at $75, it’s a great price. This entry was posted in Art, Things that i don't have yet... and tagged Art, Boba Fett, DVLovelace, Millenium Falcon, Millennium Falcon, Star Wars. Bookmark the permalink.